Winston Peters, leader of the New Zealand First Party, speaks during a media conference in Wellington, New Zealand, September 27, 2017. WELLINGTON - A possible Labour-Green coalition narrowed the gap with the ruling National Party in New Zealand’s final election tally, strengthening their position ahead of talks on Sunday with the small nationalist party which holds the balance of power. The final Sept. 23 election results released on Saturday showed National won 56 seats and Labour and Greens together took 54 seats, leaving them both reliant on New Zealand First’s nine seats to meet the 61 seats needed for a majority in parliament in New Zealand’s proportional representation system. “We will continue our negotiations in earnest with potential support parties beginning this weekend,” Ardern told reporters in Auckland. Ardern, 37, took over the Labour leadership nearly two months before the election, quickly drawing comparisons with youthful, cosmopolitan leaders like Canada’s Justin Trudeau and France’s Emmanuel Macron. She has almost single-handedly brought Labour to within reach of forming government. 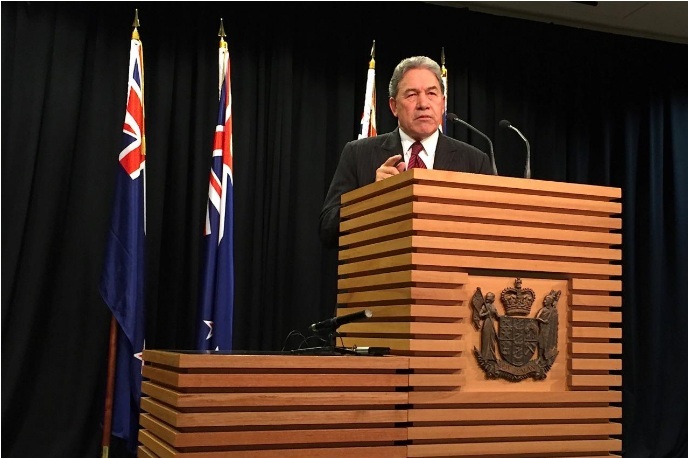 New Zealand First leader Winston Peters told local media that knowing the facts “puts us in a better position to make judgements”. Peters has said he would only make a decision on which party to back after the final tally and after the results become official on Oct. 12. If New Zealand First chooses to go with Labour, which are thought to have more in common in terms of policy, the gain in seats for the Labour-Greens bloc would make it easier for Peters to justify the move, analysts said. Both parties have said they want to curb immigration, renegotiate certain trade deals and adjust the role of the central bank albeit in different ways. “If Labour, the Greens and NZ First had formed a government with a majority of one (seat)...that wouldn’t have sat comfortably with many people,” Richard Shaw, politics professor at Massey University, referring to preliminary results. A Labour, Greens, NZ First coalition would now hold a three-seat majority after the final tally. But some say Peters could be swayed to go to National given it would be a straightforward coalition between two parties. Peters, a veteran New Zealand politician who has now held the balance of power three times, has in past elections formed coalition governments with both the National Party and Labour. A possible Labour-Green coalition narrowed the gap with the ruling National Party in New Zealand’s final election tally, strengthening their position ahead of talks on Sunday with the small nationalist party which holds the balance of power.